If I wasn’t doing this I’d be a: carpenter or generally doing home renovations. It’s something I discovered along the way, but I really enjoy building things and seeing the transition that evolves during a renovation. I was enthralled watching our log home building built, and admired the craftsmanship and dedication of our builders. Most impressive person I’ve ever met is: Kent Kirkpatrick, the former City Manager in Ottawa. He’s a really bright guy, good with people and numbers, a strong negotiator and able to deal with the politics of his job like no one else I’ve ever seen. He recently left his position because of the advancing effects of Multiple Sclerosis. His tenacity and work ethic were always very impressive and inspiring to me. I unwind by: after a hard day of golfing, I like to sit on our deck and watch the river flow by or cradle a good book. There may also be a refreshment involved, but not always (don’t want to get too much of a good thing). On my desk right now is: My home office is small but neat. On my desk now is my IAVM meeting notebook, a calendar (because my memory is lousy and I’m surprisingly busy in retirement), and there’s a binder of campfire songs. I keep it there so that when inspiration strikes, I can print out the words to a new song and add it to the binder. My favorite IAVM event I ever attended was: probably my first District 2 meeting in Fort Lauderdale at the Marriott Marina (at that time, we met outside of our boundaries every three years, to help bolster attendance). Everyone was so welcoming, and I found the sessions very informative. I was hooked immediately. That was 1988 or 1989. If I were on the other side of the seats, I’d be a: I have no talent for entertainment, so I’d probably be a hockey player, eh? I played varsity hockey but I never had the full skill set to get any higher. If that didn’t work out, I would have been a hockey referee. I did that before university and really enjoyed it, but as a career, it’s hard to say. That’s a tough lifestyle for anyone with family ties. One trait an up-and-coming venue manager should have is: be humble. Confidence is essential, too, but know what you don’t know, and don’t be afraid to ask for help or guidance along the way. You simply can’t do it all on your own. One up-and-coming venue star in the arena industry is: I can’t think of just one individual, but I know I’ve been fortunate to work on committees with several strong, talented young professionals from all sectors. One of my goals for this year is: I was in the Mentor Connector fall session as a mentor … but the partnership collapsed for some reason. It was terribly disappointing for me, but I want to try again and hopefully get through the full session. How rewarding would that be??!! I’m also going to make a stronger effort to learn to play guitar (see previous answer, re: no talent). How do you plan to help elevate the profession? At this stage, I can try to be an example of doing things the right way: work and live with integrity, dedication, and values. 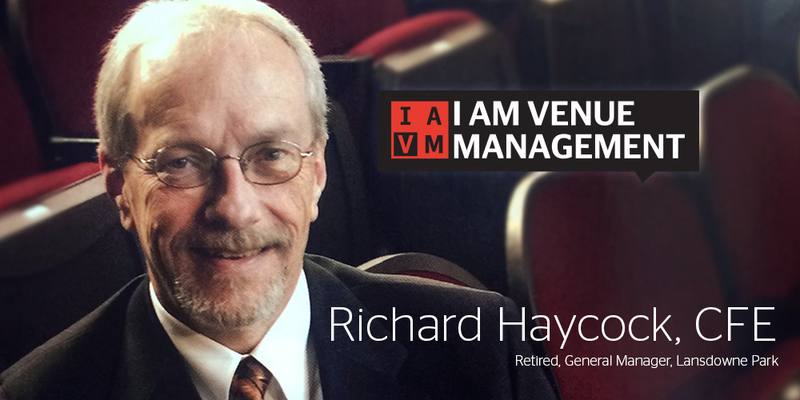 In retirement, I’ve continued to be involved with IAVM committees – membership and governance – and I think both of those groups are working hard to ensure member value and good governance for the benefit of our members. Where do you see new growth opportunities in the profession? Growth opportunities in the profession are everywhere. We continue to raise the bar of professionalism with both the CFE and the new CVP designations, and building on the strong foundation laid by earlier generations of venue managers. We owe them a lot. I would also like to see stronger ties between our practicing members and academia. How do you stay current with industry trends and developments? I can’t get to as many meetings as I would like, so I rely on Facility Manager and VenueNet to try to keep up. But there is always so much going on, particularly with the integration of technology in the event experience. That is something I struggle with. Who are three people you’d invite to a dinner party and why? I would consider Gordon Ramsay, Oprah, and Jon Stewart. With this group, we would be sure to have outstanding food, great conversation, and lots of laughs. Richard Haycock, CFE, is retired. He was formerly general manager of Lansdowne Park in Ottawa, Canada.